Are you ready for a controversial post...? Because today I am reviewing an item for MYSELF, yes, that's right...I spent money on ME! I know every horse obsessed owner reading this will empathise that every spare penny we have gets spent on our precious and pampered geegee's therefore I have to really love something to buy it. And I will selfishly admit, I am a little bit in love with my new navy fleece from Euro-Star's A/W 2015 collection, the Sandra Fleece. For those of you 'in the dark' Euro-Star isn't just the term used for a high speed train connecting London to Paris and Brussels, it's also the name of the beautiful equestrian brand passionate about colour, style and quality materials since 1959, they endeavour to produce top quality equestrian clothing with the perfect fit, the perfect look. They understand the close contact required between horse and rider and use this as their basis for product development and design within all equestrian sports. What's not to love about that...? (Possibly the prices, I want it alllllll, not fair). The best stockist I know for Euro-Star in the UK is Fur Feather Meds, Lili puts the items on her website and Facebook page, and if you've seen something Euro-Star but can't find it on the FFM page, Lili will look at ordering the item in for you specially. (I know, I know, far too tempting, especially in October with the 'C' word looming). The Sandra Fleece is £75 and comes in four beautiful colours, grey, navy, eucalyptus and lipstick red, and the colours conveniently match their A/W 2015 Matchy Matchy saddle pad and bandage sets! I choose navy...and still have an eye placed on grey! I am a size 8/10 and wear Small. 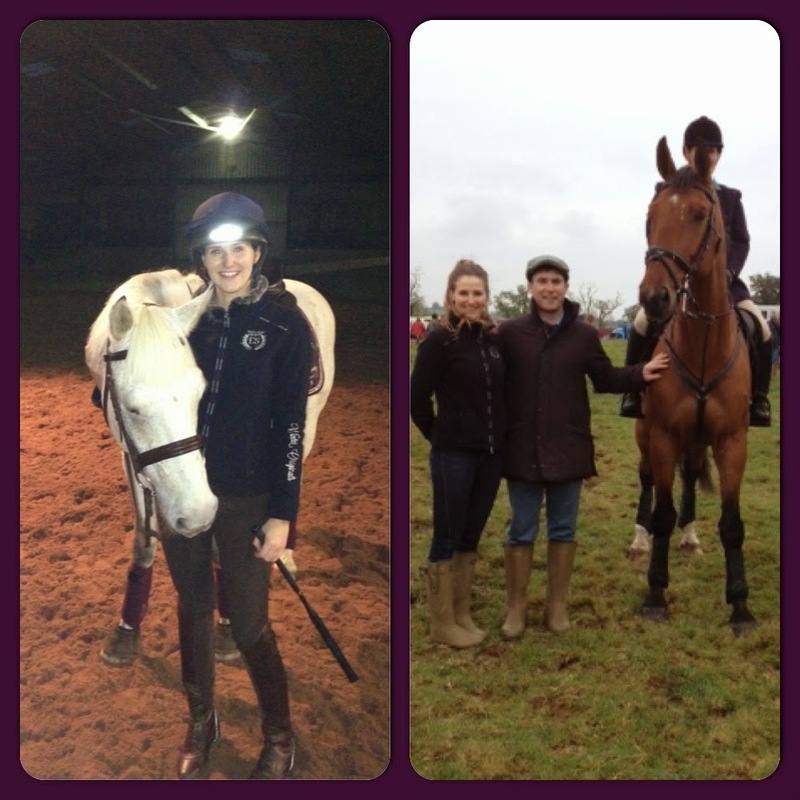 The Sandra Fleece is my first Euro-Star clothing item and I was surprised at the quality, shadowing my Pikeur fleeces. 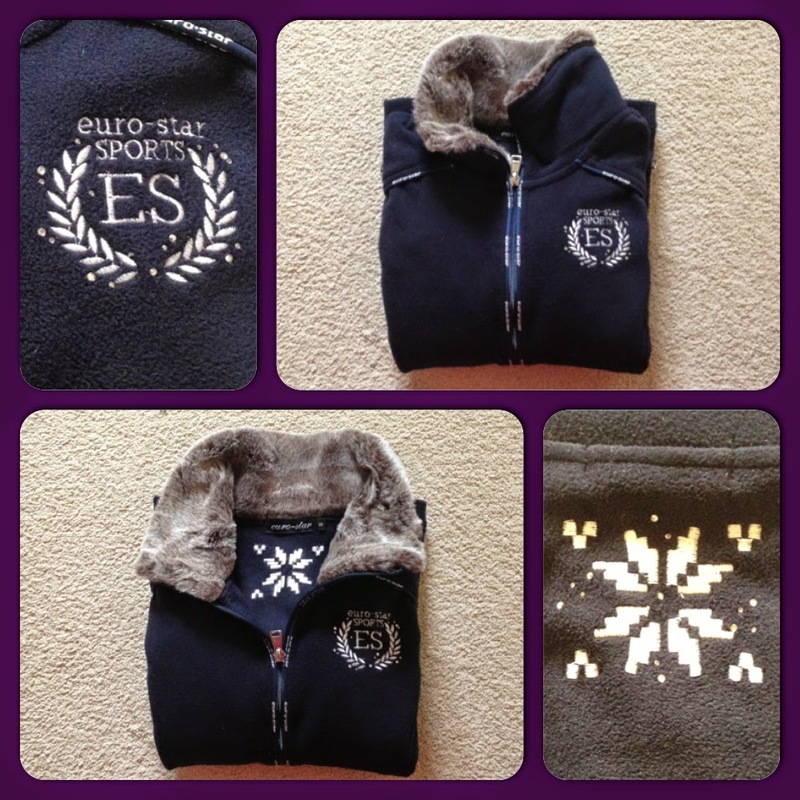 The fur around the collar is beautifully soft, not cheap looking in any way, the fleece is cosy and warm, the ES logo on the front and snowflake on the back are surrounded by glittering sparkles and it's the perfect length for riding, not too long, giving freedom of movement and helping us not to look too bulky when sat in the saddle. The only problem now...I am desperate for some Euro-Star breeches, they're all gorgeous, lets hope I am on Santa's good list!